Gratitude is said to be the key to a happy, balanced life. As crazy as life can be at times, stopping for a second and reconnecting to the wonderful things around you can be a blessing. As a nurse, there are surely a lot of things to be grateful for. You just need to make room for them to be seen, especially now, with Thanksgiving just around the corner. 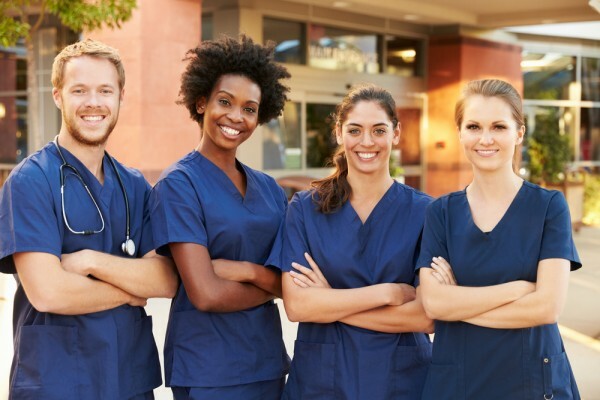 It goes without saying that nursing is one of the careers that truly allows you to connect with a lot of people and on very deep and intimate levels. Keep this in mind whenever it might feel as if things are overwhelming and try to remember challenges might just be a gift in disguise. Out of so many people scared of deep human connections, you are blessed to be able to put it to practice every day and to make it the basis of both your professional and personal thriving. There is pretty much no room for stagnation in your career as a nurse because you get to learn and discover new things, abilities, and perspectives every single day. Be it scientific, a medical, social or purely personal discovery, this job is a practical encyclopaedia of life. While it will probably always come with many challenges, innovation and growth can never come without a bit of a stretch. Rejoice at knowing you are constantly bettering yourself on many levels. Many talk about nursing and its high potential for stress, but what if you would just reframe that into a whole new perspective? Not to say that the stress is not real – it clearly is, and a lot of responsibility is lying on your back. But the number one wonder that comes along with this job is the excitement that it brings and the excitement to have different and new things to learn every single day. Be grateful for this and allow it to show you its always changing beauty.